Extra Salt for preparing the rind. 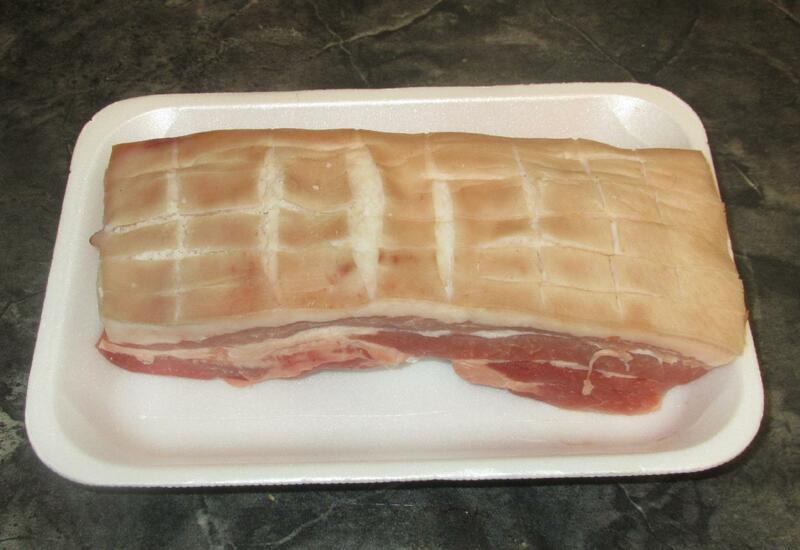 Here is the pieces of pork I will be roasting. 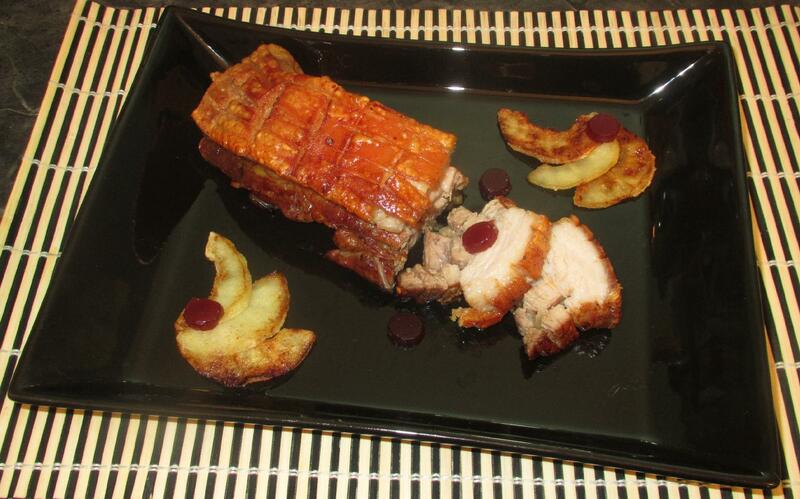 In order to produce a nice crispy skin, I have prepared it by scoring, scalding and soaking, essentially the same way I do in my Roast Pork with Crackling II post. The only difference in this case is that I did not rub the meat with chicken bouillon powder and I only let the skin dry for one day, rather than two. 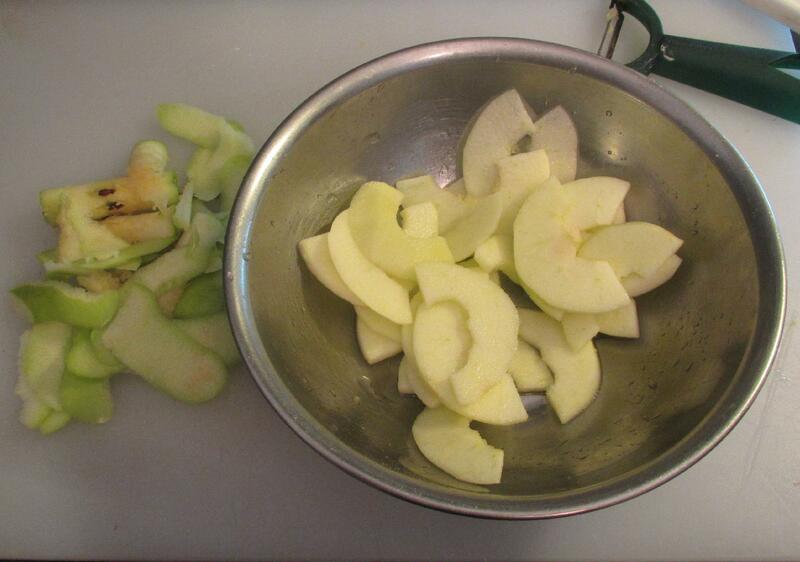 Peel and core the apple then slice into thin half rings. Toss them with the lemon juice and set aside until needed. You will not need all the slices for preparing the roast but you can save some for garnish and, as a cook’s prerogative, snack on whatever remains. Make3 deep slits lengthwise into the bottom of the meat and sprinkle over the sugar and garlic salt, rubbing it into the slits. 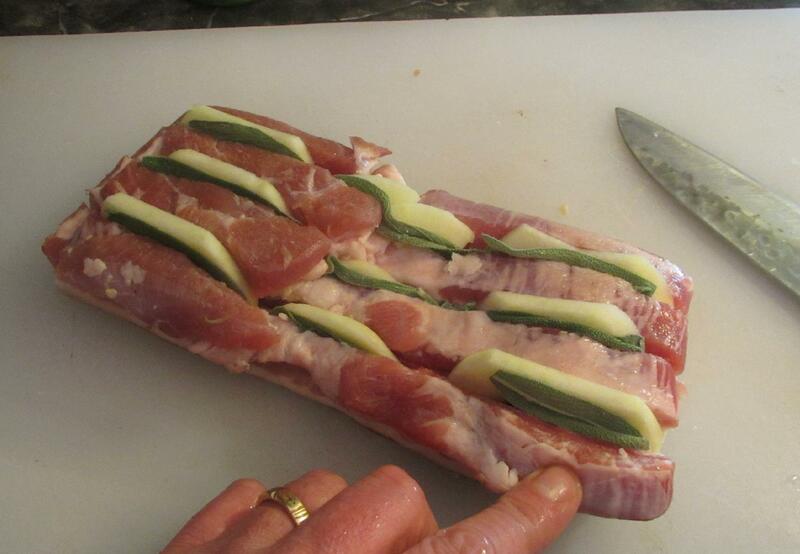 Finally, line each slit with slices of apples and whole sage leaves. 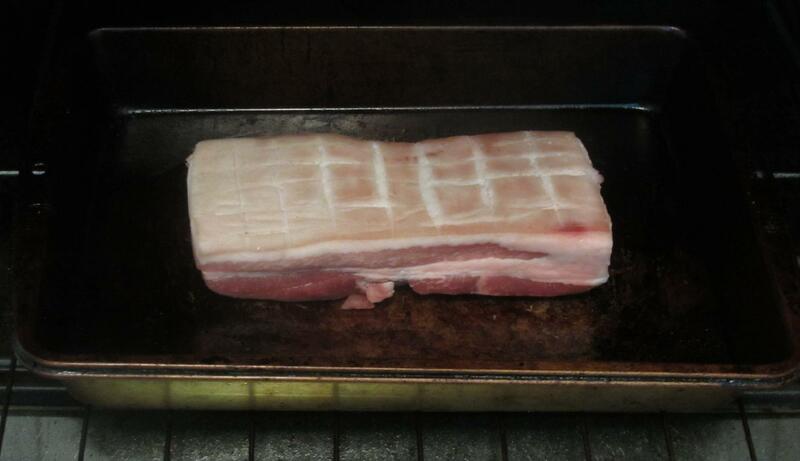 Pre-heat your oven to 450 degrees and place the pork belly in a lightly oiled roasting pan. Roast for about 45 minutes until the crackling bubbles and turns golden then remove from the oven and let sit for about 5 minutes before slicing. 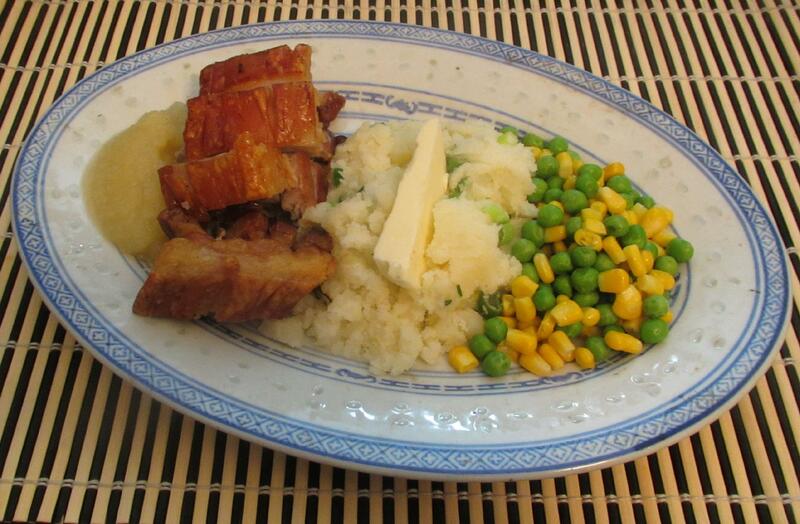 Serve with veggies of your choice and, if you like, a spoonful or two of apple sauce. wow. wish I could have stopped in for a taste of this. That slab of butter is ENORMOUS. lol! Hahahah – that plate was for me and John knows I love my butter!